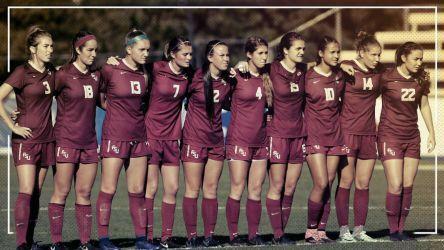 The Florida State University Women’s Soccer Spring ID Camp is inviting female soccer players in grade 8 up to grade 12. This ID camp is ideal for those players who want to play at the college level. It is a 2-day event that will run from February 25 until February 26. Furthermore, this camp provides exceptional players to showcase their skills in front of the university’s coaching staff in a highly competitive playing and training environment. There will be technical and tactical sessions, 5v5 and 11v11 matches, and a campus tour. In addition, a separate session is in place for goalkeepers. There are only 80 field players and 8 goalkeepers spots available. Thus, registration is on a first come first serve basis. It is important to note that this event is only a commuter camp. It will take place at the Seminole Soccer Field. Florida State University is a public, coeducational, sea-grant, space-grant, state university in Tallahassee, Florida. It is a member of the State University System of Florida. The university is also part of the Association of Public and Land-grant Universities and the Oak Ridge Associated Universities. The university consists 16 colleges and it is offering more than 129 undergraduate majors and 231 graduate programs. As a whole, it has an accreditation from the Southern Association of Colleges and Schools. Currently, it is serving around 32,700 undergraduate students and 9,200 postgraduate students. Florida State University is one of the nation’s leading academic institution. In fact, it is 81st in National Universities, 2018 edition of Best Colleges rankings. It is also 44th in Best Colleges for Veterans rankings and 98th in Best Value Schools rankings. The university is participating in the Atlantic Coast Conference of NCAA Division I. The athletes call themselves the Seminoles. The Head Coach of the Florida State University women’s soccer program since 2005 is Mark Krikorian. Under his leadership, the team has already a National Championship, 3 ACC Regular Season Titles, and 5 league championships. Ultimately, Coach Krikorian is a 4-time ACC Coach of the Year awardee. Then, the team’s Assistant Coaches are Mike Bristol and Morinao Imaizumi. While Nathan Minion is the Director of Soccer Operations. Finally, Ileana Moschos is the Volunteer Assistant Coach. The Florida State University Women's Soccer Spring ID Camp includes technical and tactical sessions, small-sided and full-sided matches, and a campus tour.